The polished finish on these very bold hoops adds a rich luster to an otherwise basic design. The light reflects so flawlessly off the surface of these lightweight earrings so that you can feel comfortable while wearing this particular style. 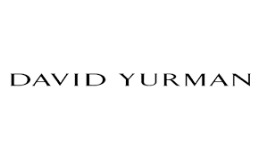 These earrings are elegant and simple. 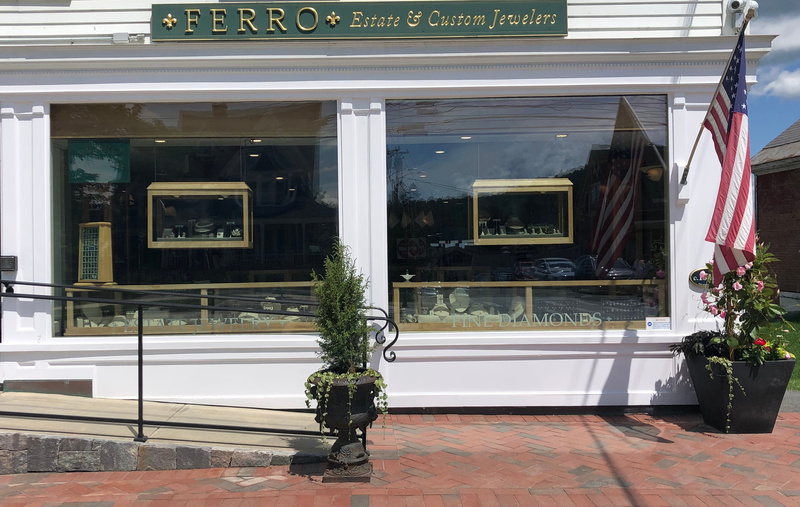 Their high quality 18k gold illuminates a beautiful polish and shine while exhibiting a high level of craftsmanship and detail. 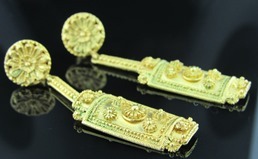 These earrings are perfect for anyone that appreciates detail and intricate design. 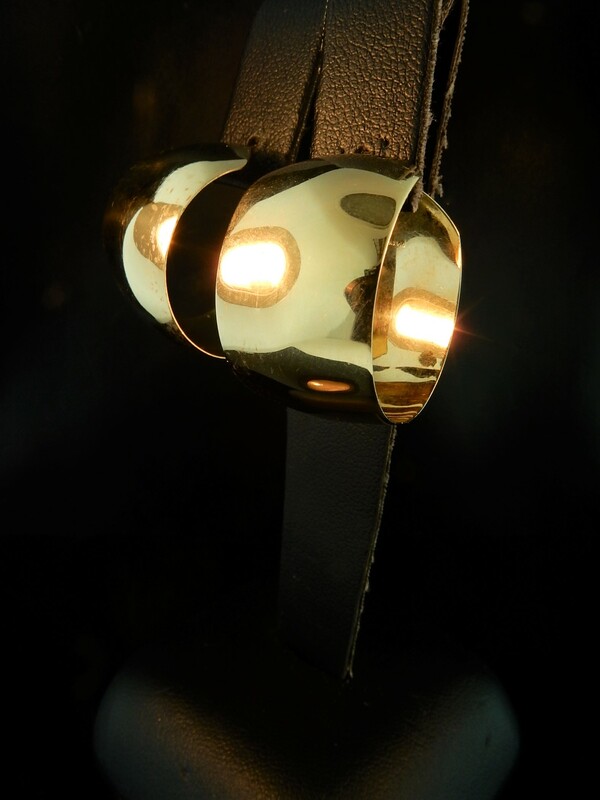 By the Greek designer, Lalaounis, this piece oozes class and craftsmanship. 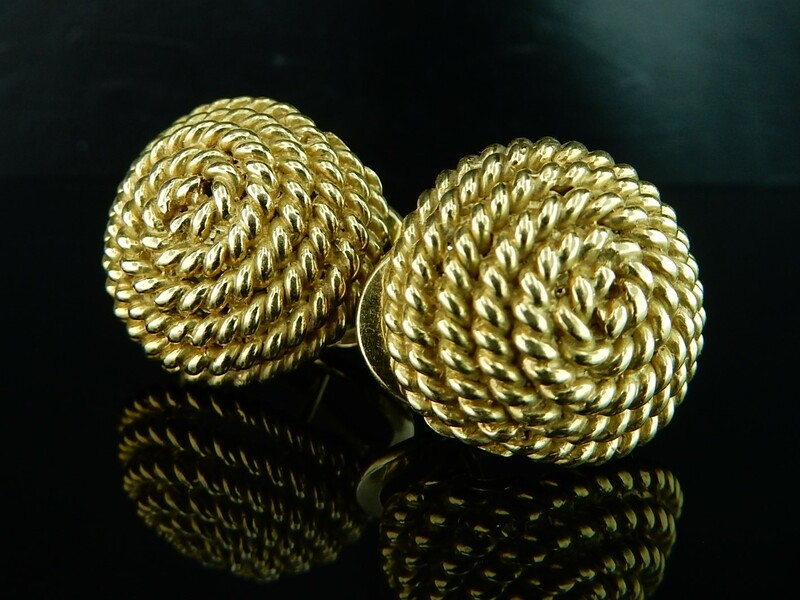 In solid 18k yellow gold, these earrings are a true find. Bangles are the perfect items for every day wear, but do your bangles show such unique textures like these? 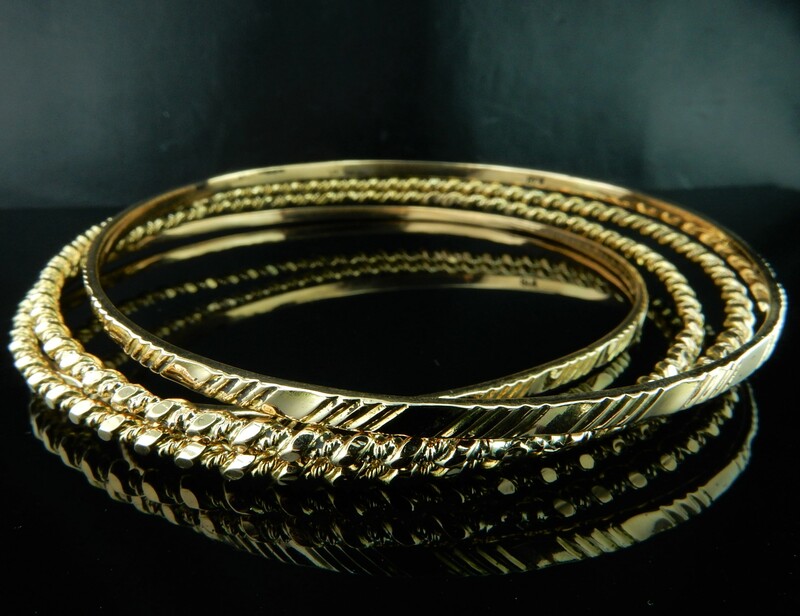 Upgrade your standard gold bangles to these 18k textured bracelets. Like one of the textures more than the other? These can be sold separately! 22k gold small hoop earrings with 18k push backs. From our Estate Collection. 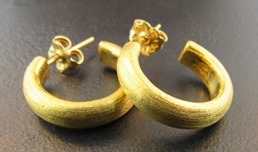 18k Shield Drop Earrings by Greek Designer Brand: Lalaounis. 14k hammered gold ring with .09ctw of bezel-set diamonds. 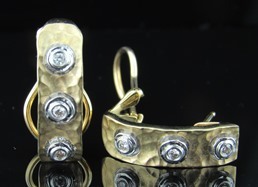 14k hammered gold earrings with .09ctw of diamonds and omega backs. Omega backs to secure earrings in ear. 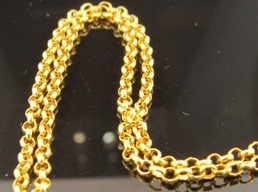 24k rolo-link chain. 16-inch in length. 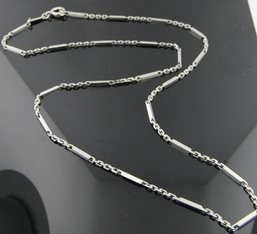 Stunning and versatile, 36-inch barrel diamond-cut link chain. Platinum. 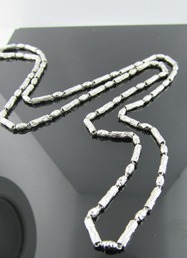 Station bar necklace in platinum. 18 inches in length. 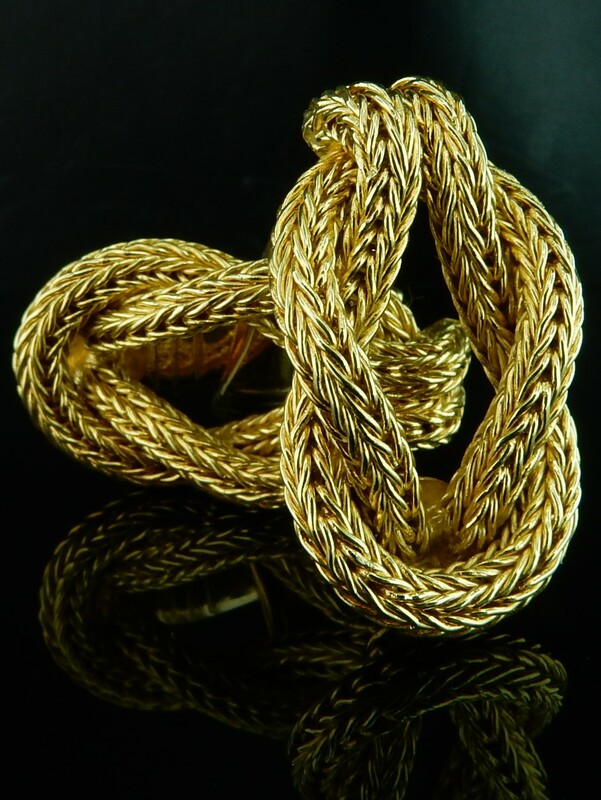 14k/18k Gold bar link chain. 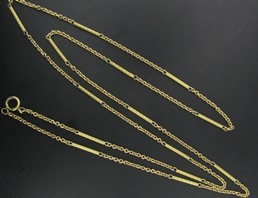 Gold bar link chain. 14k/18k.